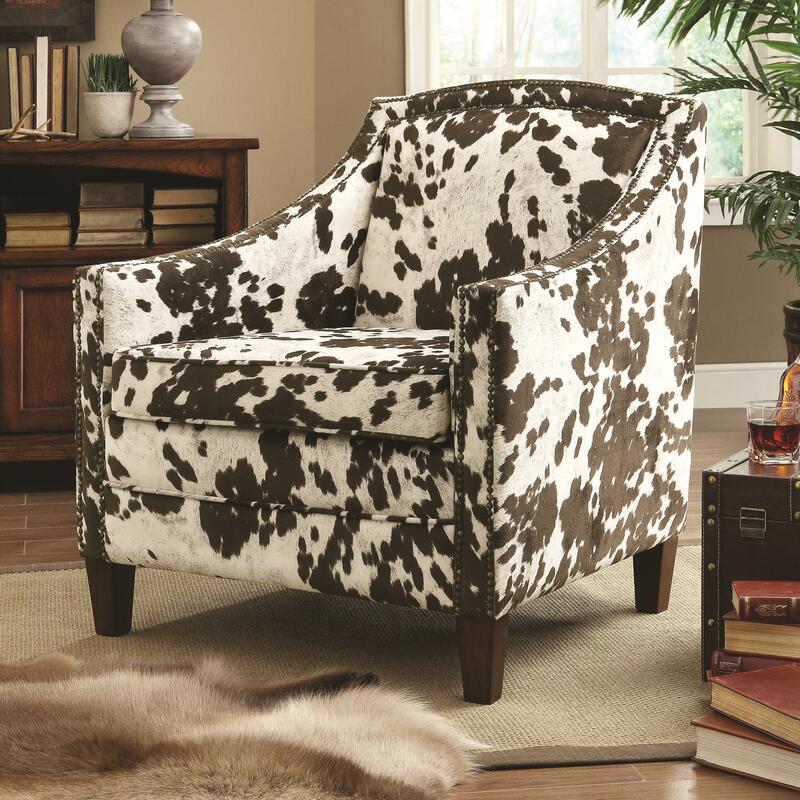 Add a plush and unique accent chair to your home with this charming brown and white cow-patterned chair. Featuring a decorative nailhead trim, exposed wooden legs, and sleek track arms, this contemporary piece bears a feeling of country charm and chic updated visual intrigue. A super-soft fabric covers thick plush padding for lasting comfort you'll love to come home to at the end of a long day. The Accent Seating Cow Pattern Accent Chair by Rooms Collection Two at Rooms Furniture in the Houston, Sugar Land, Katy, Missouri City, Texas area. Product availability may vary. Contact us for the most current availability on this product.